Item is in NEW/MINTcondition! Steelbook only. Item is NEW/MINT! Steelbook only. SEALED in the original plastic wrap;. This item is. 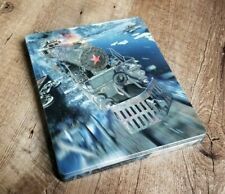 Steelbook is in great condition. There may be small lines on the plastic or minor tears. Case is mint/near mint. Up for sale-- Kingdom Hearts Steel book Case from Kingdom Hearts 3 Deluxe Edition. Unused. 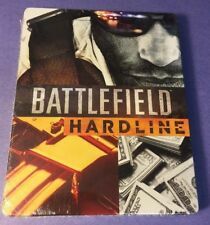 Steelbook case only. **No game included** If you have any questions, feel free to ask. Thanks for looking! Battle: Los Angeles Steelbook ONLY. NEW Crackdown 3 Steelbook Case (no game). This was a Best Buy Exclusive from preordering. Condition is Brand New. Shipped with USPS First Class Package. This is for just the steelbook case. Case has minor scratches from Best Buy, look in photos Resident Evil 2 Steelbook Case ONLY Good Condition Best Buy NO GAME INCLUDED. Comes from Best Buy. Shipped with USPS First Class Package. Trending at $16.46eBay determines this price through a machine learned model of the product's sale prices within the last 90 days.